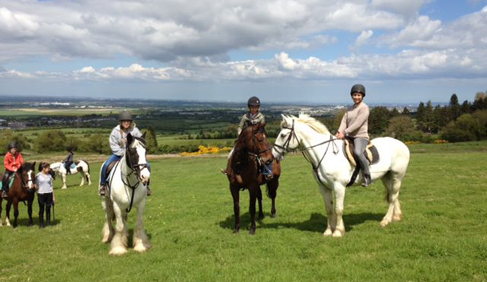 Coolmine Equestrian Academy Dublin (CEAD) in Ireland has been hosting equestrian holidays and horseback riding vacations in Ireland's capital city of Dublin since 1991. CEAD-Ireland provides riding holidays for single travelers, familties and groups in a fun, friendly environment. Conveniently located within a 30 minute drive of many of the Dublin area's main tourist attractions, this riding vacation destination offers adult riding lessons, horseback riding on mountain and forest trails with breathtaking scenery in the Irish countryside, combined with sightseeing in Ireland. Guests may visit Coolmine Equestrian Academy to brush up on their riding skills or take a trail riding vacation combined with seeing some of Ireland's top sights. 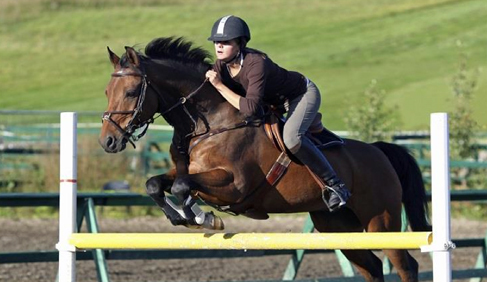 Equestrian vacations can be customized for all types and levels of riders. A typical equestrian vacation week may include: Introduction and getting matched up with your horse for the week, Dressage, Showjumping or Cross Country Masterclasses, Trail Riding and more Day Trips to National Stud or Dublin City. In order to help riders learn and grow on their horse holiday, CEAD Ireland offers video analysis of riding lessons, evening activities, cultural day trips and English language tutorials. Faciliities include a large 60x40m indoor with a judgebox, sound system and two floodlit outdoor arenas with lunging menage on grass. 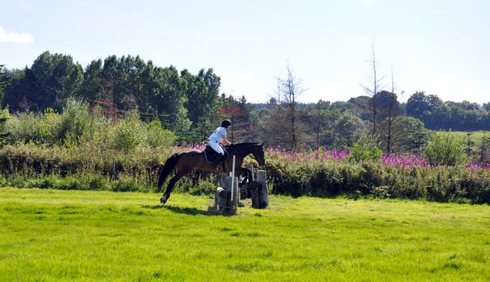 The estate has a cross country course with waterjump and picnic areas. 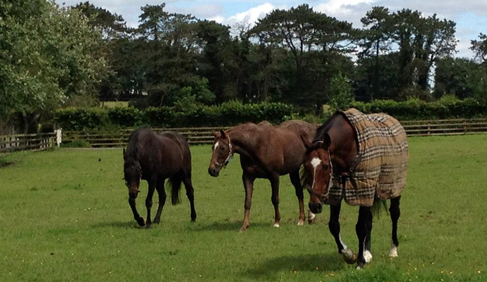 Coolmine is a convenient location for Dublin Riding Holidays. Top level British Horse Society approved instructors hold regular Master Classes in Show Jumping, Dressage and Cross Country throughout the year. Cross Country classes start off with Indoor Cross Country schooling on how to ride a variety of cross country fences, fine tuning the cross country positions and techniques before moving outside to Coolmine Equestrian's 20 plus cross country fences across a variety of terrain to experience the thrill and exhilaration of outdoor Cross Country jumping! Show-jumping classes concentrate on vital showjumping techniques such as practicing strides, improving coursemanship, engagement and perfecting that showjumping canter! Dressage Classes cover how to ride and improve your dressage test. Coolmine Equestrian's instructors help develop the connection between horse and rider to improve the horses way of going through bending, flexing and coming through from behind to progress to riding “on the bit” – as well as an accurate Dressage Test! The Lynch family, the owners of Coolmine Equestrian, looked for any leftover precious gems, artefacts or gold in 1911 when John "the Boss" Lynch bought the estate. There was only an old underground passage where women and clergymen fled attack with the churches precious gold and jewels which surfaced in Rathcoole. Today Dublin's hidden charms may be forgotten but its history resurfaces when Coolmine's guides greet guests from all over the world with a warm welcome and a "CEAD MILE FAILTE" (A hundred thousand welcomes)! 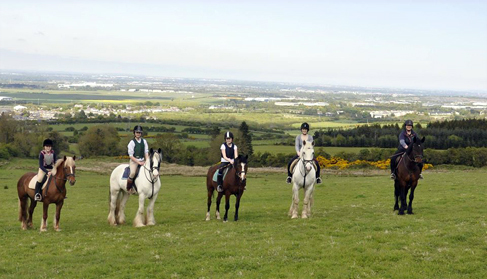 Send your child to the only Residential Horse Riding Camp close to Dublin City and Dublin International Airport for an experience at a top-class Equestrian Academy. All residential accommodation is under one roof for ease and comfort. Days are varied, alternating English lessons, horse riding lessons and other activities, including day trips and sight seeing tours. Horse riding is a truly unique activity for developing a young person’s confidence, sense of adventure and communication with such a magnificent animal. 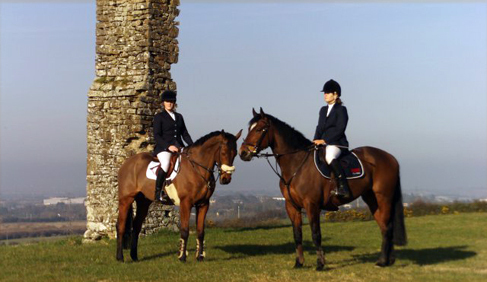 Coolmine Equestrian Centre’s Equestrian Academy is suitable for all levels of experience. Rider’s will be divided into groups based on ability. 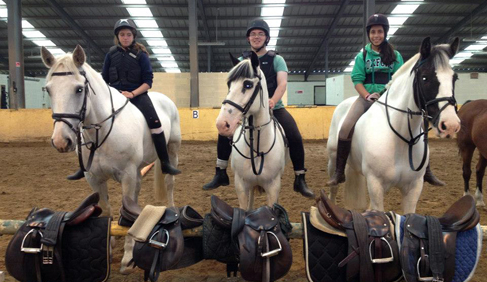 All students will be able to take part in stable management, lectures and horse riding activities. 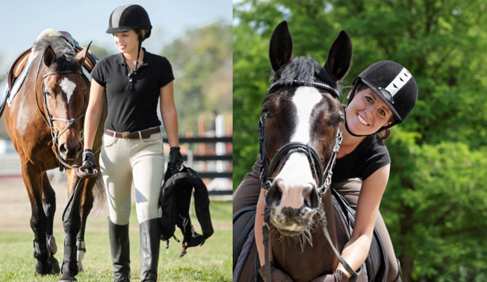 Students have the opportunity to improve their riding skills, play games and benefit from top class instruction. This camp is designed to accommodate riders with a taste for adventure. Campers have the chance to absorb ancient Irish culture, see the sights and spend their time enjoying the company of their four legged friend. 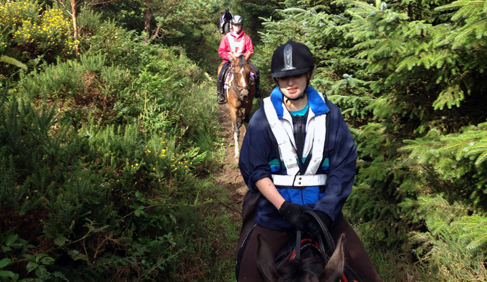 Coolmine Equestrian is steeped in Irish culture and campers learn about Irish folklore, explore winding mountain paths and ancient burial grounds. Dublin is renowned for its diverse culture and tourist attractions. Students explore Dublin’s charms and get to see real Irish hidden attractions. Visit Coolmine Equestrian Academy Dublin's website or email Coolmine for more information. Children stay in dorm style accommodation onsite at the Equestrian Academy. Dormitory style accommodation is available across two floors for the authentic boarding school experience. Students all have access to hot showers, changing rooms and clean, modern facilities. A large recreation room is available for socializing, watching TV, playing video games, accessing the internet to contact home, playing pool and to relax. A large canteen is available for breakfast, lunch and dinners. There is a convenience store, gift shop and tack shop in the complex. Packed lunches are provided for all day trips and tours. Hearty and Healthy Irish Meals, European Cuisine, Chinese, Traditional Fish and Chips, and more. Vegatarians, Vegans, and those with Allergies can be accommodated with prior notice. Golf, hill walking, fishing, sailing, surfing, kayaking, orienteering, walking tours, traditional Irish Pubs, English language tuition, residential summer camps, day pony camps, adult riding holidays, short stay weekend breaks and more. 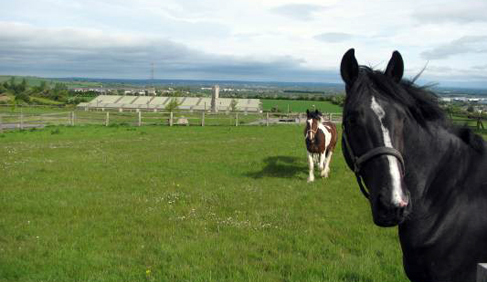 All attractions are within a 30 minute drive from Coolmine Equestrian Centre. Coolmine's staff can help you arrange a Dublin City Tour, a visit to Pheonix Park and Dublin Zoo, Glendalough National Park, the Irish National Stud & Horse Museum, Japanese & St Fiachra’s Gardens, and more. This is just a selection of tours and excursions available to your group. Please contact us and one of our experienced coordinators for more information or suggestion for what may suit your group’s size, budget and interests.